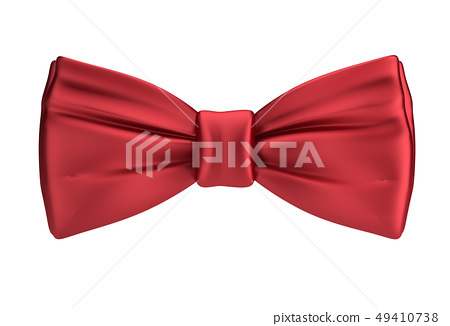 3d red silk bow tie. 3d image. Isolated white background.